New Years Subway Art Printable to help you ring in the New Year. This is the 31st and last printable in the 31 Days of Free Printables series. I thought it would be fun to finish the printables series with one for New Years. Do you decorate for New Years Eve or New Years Day? I usually take the Christmas tree down on New Years Day but I always try to decorate the mantel for New Years. Sometimes I will have a photo booth area and some other areas decorated too. 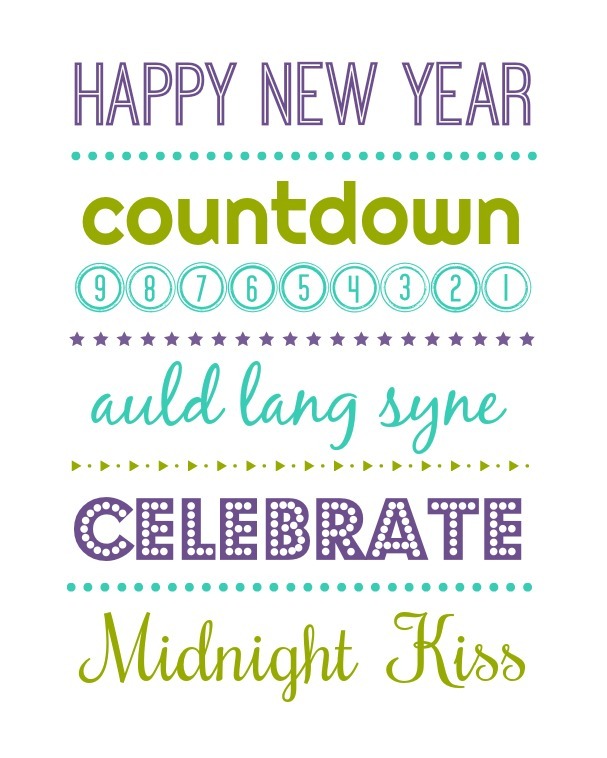 This printable would look cute on your mantel or food table if you have a New Years eve celebration. Print it out and be ready to celebrate the New Year. It will be here sooner than you think. I hope you enjoyed this series. I have loved creating all of these free printables for you. Click over to the 31 Days of Free Printables for links to more free printables.